Fbodywarehouse offers a wide variety of exterior products for your 1979 1980 1981 Trans Am and Firebird. From bumpers and nose cones nose grills and spoilers & flares. 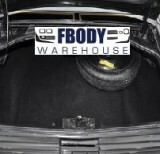 Fbodywarehouse carries all of the items you need to bring your car back to new condition! We use producers you know and brand names your trust!